We bring to you, Fisher Clamp. 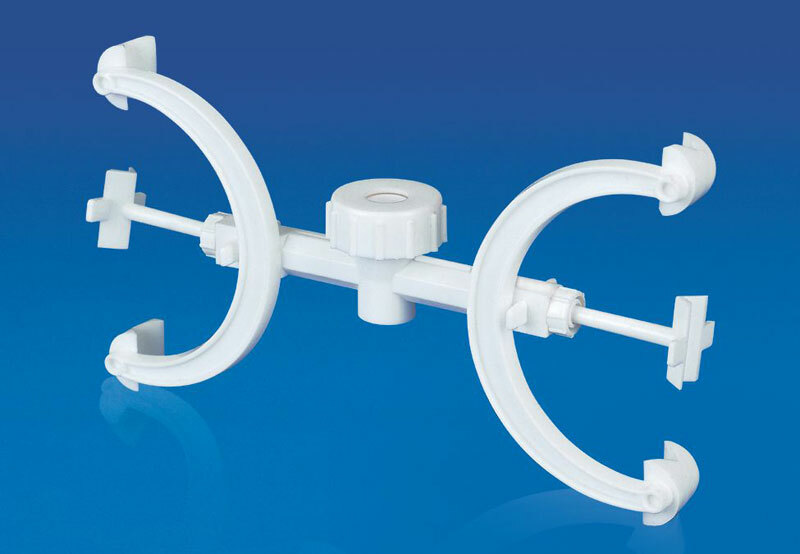 The Fisher Clamps are molded in Polypropylene making it completely corrosion-proof. The spring-loaded jack in the middle provides a vice like grip to the Burette and prevents it from slipping. Two tapered wedges are provided to ensure firm grip on rods having diameter Â½" or 3/8".